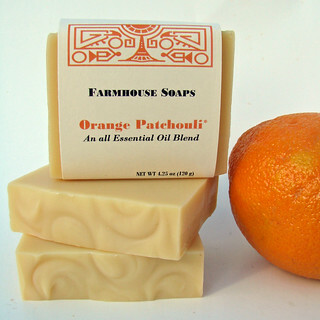 Back when I started making soap, I wondered about using essential oils to scent it. 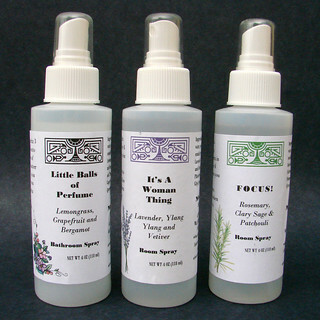 But the only EO’s I had ever seen for sale were the Aura Cacia brand found at the natural food stores. The bottles were typically .5 oz (about 1 tablespoon) and expensive. I knew enough to know that essential oils are medicinally active. Some weren’t safe for use with small children. Some weren’t safe for pregnant women. Some could be toxic to animals or irritating to the skin or phototoxic (causing sunburn if used on the skin while outside). But which ones? And what was a “safe” amount to use? Normally, Google is my friend. But in this instance, all the information I found either felt like word of mouth rather than science or it contradicted information I had already found. The ground was not solid under my feet. 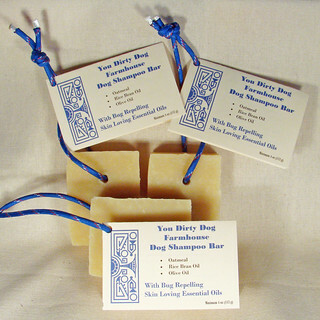 For me, it was not worth risking using them in my soaps. I was concerned I could hurt someone. So I just stuck to fragrance oils, which while less “natural” were designed to do two things and two things only. To be safe on the skin and smell good. Eventually I joined a yahoo soapmaking group, and there was a woman on there who knew a LOT about essential oils, as she had been a perfumer for a while. But most of what she knew was in her head, not on an accessible website, and when she did share her knowledge, it was often way above my existing knowledge level. It felt a bit like walking into a calculus class when you haven’t finished pre-algebra yet. But I did come to understand two things. 1). There is an organization called the International Fragrance Association (IFRA). They set use guidelines for the chemical components that go into fragrances. While compliance is voluntary, its really the only regulating body out there, and most people who are “in the know” about fragrances refer to their use guidelines when deciding how much of any one component to use in a fragrance, be it in a perfume or a lotion or a soap or a room spray. 2). An essential oil is not one chemical. It’s actually made up of multiple chemicals that all came from the same plant. For instance, Lavender Essential Oil (Lavandula angustifolia) is made up of linalool, linalyl acetate, lavendulol and lavendulyl acetate. These four chemicals will constitute 60 to 80% of the oil. In addition, it will also contain camphor and 1.8-cineole, and perhaps some other things in small amounts. Part of what perfumers do is work with each individual chemical constituent rather than the essential oil as a whole, carefully selecting how much of each to add to the blend. Because of this, the IFRA use rates are based on these individual chemicals, not the essential oil as a whole. Each essential oil has an international standard (ISO) that it should be able to meet. This standard will give an acceptable range for each of the main chemical components of the oil. Oils will vary in their chemical make up year to year and location to location. So a lavender EO might contain from 25 to 38% linalool and 25 to 45% linalyl acetate. If these two chemical components are in this range, its considered to meet the standard (along with some other more minor components that I won’t list here). How do they analyze the oil? Using gas chromatography and mass spectrometry (GC/MS), which are expensive pieces of equipment used to analyze substances to determine their specific chemical make up. So…lets back up a bit. What exactly IS an essential oil? From this site (lots more information in the link – highly recommend for further reading). The International Organization for Standardization (ISO) defines an essential oil as a product made by distillation with either water or steam or by mechanical processing of citrus rinds or by dry distillation of natural materials. Following the distillation, the essential oil is physically separated from the water phase. According to Dr. Brian Lawrence “for an essential oil to be a true essential oil, it must be isolated by physical means only. 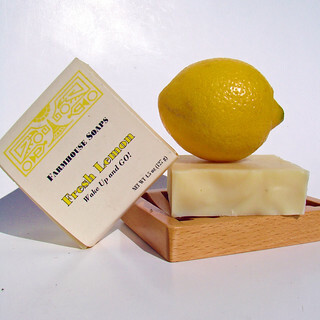 The physical methods used are distillation (steam, steam/water and water) or expression (also known as cold pressing, a unique feature for citrus peel oils). There is one other method of oil isolation specific to a very limited number of essential oil plants. This is a maceration/distillation. In the process, the plant material is macerated in warm water to release the enzyme-bound essential oil. Examples of oils produced by maceration are onion, garlic, wintergreen, bitter almond, etc.”. Certain substances that are sometimes passed off by manufacturers as essential oils aren’t technically essential oils. 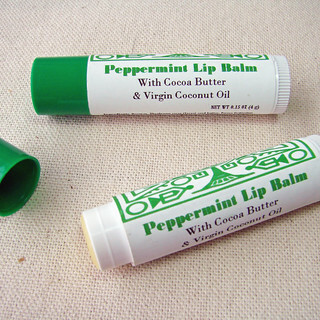 Examples are vanilla and jasmine absolutes (which are extracted using CO2) or resins that are extracted using solvents, such as frankincense and myrrh. Absolutes tend to be very expensive, and so are often diluted with a “carrier” oil such as jojoba to bring the cost out of the stratosphere. If any other oil besides the plant extract is mentioned, know that it isn’t a straight essential oil. How do you avoid being duped? Expect the manufacturer to list the extraction method and/or the carrier oil if one is used. If no extraction method is mentioned and the price is crazy good, its possible that its not actually a pure essential oil. I’ll list some suppliers I personally trust at the end of this post. If a manufacturer or supplier is selling an essential oil, and they are serious about the quality, they should be able to supply you with the following information (I’m summarizing from this website). If requested (or ideally, on their website without having to ask for it), the company should be able to provide you with the GC/MS report for the oil in question. They may also provide you with the Certificate of Analysis (CofA). A few notes on why some of this is important. Did you notice in the discussion of lavender above how I used the Latin name of the plant, Lavandula angustifolia? That’s because you can also buy lavender essential oil from Lavandula officinalis, Lavandula stoechas or a hybrid lavender referred to as Lavandin, Lavandula hybrida var. abrial or Lavandula hybrida medicus. Each has a slightly different chemical make up and smell. If you are just buying “Lavender” and no botanical name is mentioned, what exactly are you getting? The part of the plant extracted is also important. For instance, bitter orange (fruit peel), neroli (blossoms) and petitgrain (leaves and twigs) can all come from different parts of the same plant, Citrus bigaradia. Cinnamon essential oil can come from the leaves or the bark. Clove essential oil can also come from the leaves or the buds. The chemical make up of these oils can change somewhat (or rather dramatically) depending on which part of the plant is used, and that can be important, both in terms of safety and best use. For instance, cinnamon leaf can be much less irritating for topical applications than cinnamon bark. And are we talking about Cinnamomum zeylanicum (Ceylon cinnamon) or Cinnamomum cassia (common supermarket cinnamon) anyway? The country of origin can also affect the chemical make up of the plant. I recently bought some Spanish Rosemary essential oil and the difference in scent was rather dramatic from what I previously been using. Is your brain full yet? Yeah, mine too, but we’re just getting started. I won’t go into great detail on how to use the IFRA standards and how to go about looking up individual chemical constituents of the essential oil in question, partially because its complicated and perhaps beyond the needs of the average user, and also because I’m still learning this process myself. However, this blog post is fantastic for giving you the basics should you decide to attempt the process yourself. But do know this. Some chemical components in an oil have use restrictions (cinnamon, clove and anise are three examples), are completely prohibited (wintergreen, bitter almond from which the cyanide has not been removed) or can only be used in specific applications, often in conjunction with other materials. Don’t ever assume that just because something is natural, that it is safe, or that more is always better. As an example, anise is restricted due to its estragole content. Estragole is thought to be carcinogenic. Here’s the list of just the prohibited, restricted or specified chemicals from the IFRA website. If you are having a skin reaction to an oil, it is NOT your body detoxing, it is your body being damaged. STOP using it immediately. And please don’t ingest essential oils or float a few drops in water in a bath. Oil and water don’t mix. Which means that the EO stays just as concentrated in your bath water or your drinking glass as it was out of the bottle. Which means its 100% concentrated when it comes into contact with your skin or your throat and stomach. Lemon essential oil will eat right through the bottom of a plastic cup. Imagine that on your throat! People have received serious, sometimes permanent injury from this practice. So, let me guess. You have a friend who is a rep for one of the multi-level marketing essential oil companies. Say doTerra or Young Living. And they go on and on about how they are Certified Pure Therapeutic Grade (CPTG) or their Seed to Seal process. That’s all well and good. But I’d ask to see the GC/MS for the oil in question and ask for confirmation that their oil is falling into the accepted ISO range. ANY good supplier will be testing their oils against an industry accepted standard. Not just these multi-level marketing companies. The term Therapeutic Grade is a marketing term, not a legally regulated term. And you are paying for that marketing with your pocketbook. As for general essential oil use and safety information, I can not say enough positive things about the Learning about EO’s website. It all started when they were asking the same questions I was about purity and safety, and crowd sourced some third party testing of three different oils, Myrrh (actually solvent extracted from the resin), Tea Tree and Peppermint. The most interesting aspect was how the different suppliers chose to respond if their oil was out of range on one of the industry acceptable standards. Some didn’t respond at all. Some denied there was an issue. And some stepped up and thanked them for the information and made their own investigations. I’ll let you read up on the results yourself. On the bottom of the Learning About EO’s site, she has links to commonly asked (and asked and asked again) questions on essential oils including recommended dilution rates (generally diluted to 1 to 3% EO in a carrier oil – in other words A LOT of dilution – though there are a few exceptions), safety while pregnant, and use around kids of all ages. She also has safe well researched recipes. For a while I was also a member of the Facebook group connected to this site, but seeing the same information repeated over and over, and one too many recommendations on diffusers or questions clearly posted to generate site traffic and I had to bow out. But the work Lea is doing has gone a long way when it comes to educating the common user about essential oil safety, and I recommend the site all the time. Note that a “carrier oil” is just a shelf stable oil used to dilute your essential oil. I typically use sweet almond, but coconut would be another popular choice. It should be noted that it is almost NEVER advisable to use an essential oil neat (straight) on the skin. While there are a few that you CAN do this with (Lavender and Tea Tree are two), sensitivities can develop over time, just like an allergy can come out of nowhere. When you think about it, these plants generally make these substances as a defense against insects and other predators. When the plant is distilled, the yield of the essential oil is generally 1 to 3% of the total weight of the plant matter. So one lb of peppermint leaves (16 oz) might yield .16 to .48 oz (from less than a teaspoon to about 1 tablespoon) of essential oil. That is some highly concentrated stuff. Now imagine putting that onto a child’s skin. Yikes! Skin damage does and has occurred. Also beware of blends, unless you know the company is following rigorous safe use standards in how they are formulating. Really, its best to make your own. This is the neck of a horse after three consecutive days of “raindrop” therapy, where essential oils were applied full strength. This is not “detoxing”, this is blistering or hives from the concentration of the oils. Photo credit: The Opinionated Mare blog. 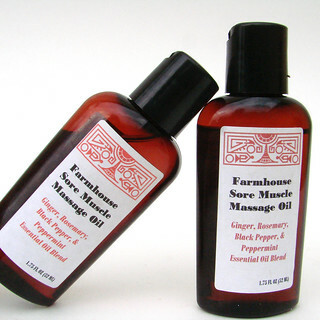 Two large soapmaking supply companies, Wholesale Supplies Plus and Natures Garden, both supply the IFRA use rates by category for all of the essential oils they sell. 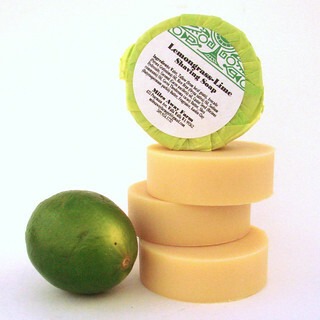 Even if I don’t buy from them, I often use their lists as a general guide for using EO’s in soap. If the use rate for the application is less than 5% max, I will go through the process of looking at the GC/MS sheet and do further research. The other really great resource out there on essential oils and their use is Robert Tisserand. His book, which I covet and can’t afford, because its basically a college text, is Essential Oil Safety. This man REALLY knows his stuff, and his information is solidly based in science, not herbal lore or “interweb” wisdom. He also uses the ISO standards when evaluating an oil (ie he’s looking at the chemical constituents of the oil and THEIR safety). Whenever I’m researching a specific oil, I look to see if he has written any information on it that is available on the internet for free. And sometimes there is. Like this piece on lavender and abnormal breast growth in boys, which went a long way to assuage any concerns I may have had. So, there you have it. A brief primer on using essential oils safely. Gives you a whole new appreciation for people who are well trained in aromatherapy, right? I’ve slowly added more essential oil products to my line over the past few years as I’ve become more comfortable regarding their safe use. 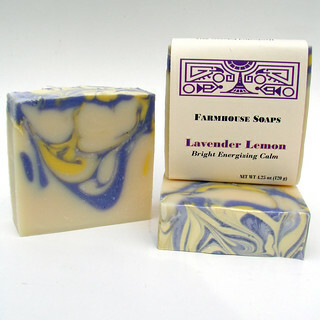 All the photos in this blog post are my products, made with essential oils. Who do I buy my essential oils from? 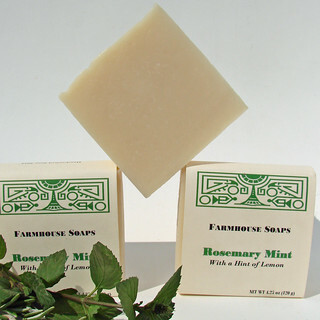 Primarily from New Directions Aromatics out of Canada (because I use EO’s primarily on soap, I’m often buying them by the pound). I also really trust Mountain Rose Herbs. While I’ve never purchased from them, they have a stellar reputation and seem to go out of their way to educate their customers. The Learning About EO’s website really likes Plant Therapy. But if you know what questions to ask (and now you do) you can find your own suppliers as well. 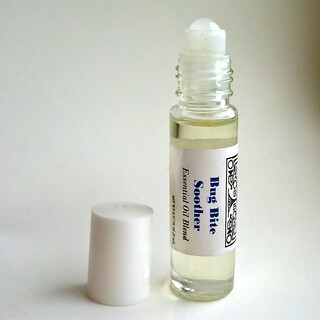 I also really like the Aroma Web site for tons of information on individual oils and Esoteric Oils out of New Zealand for therapeutic uses and blending suggestions, (just look up any individual oil and then scroll down to the bottom where it says “blends well with”). Miles Away Farm Blog © 2015, where we still have a ton to learn about essential oils, but we’re happy to understand a lot more than we did four years ago. So glad you shared this information. I truly appreciate the additional information resources. I use Lavender Oil when I am doing my Santa Gigs. Just a bit below each ear to help me stay cool as a cucumber. 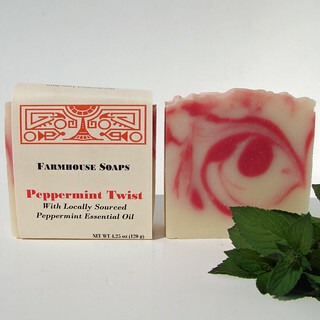 Wonderful article and chock full of important info for consumers as well as we soap makers!